In Years 7-9, pupils follow a very varied practical course. 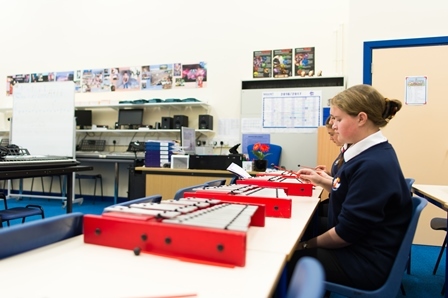 All activities build pupils’ performing, composing and listening skills within a topic-related structure, covering such diverse music as “Fanfares’, ‘Jazz and “Blues’, Popular Music” and music of the classical traditions. In Years 10-11, pupils opting to take GCSE music follow the WJEC syllabus, which is divided into four topics, including “Music in Wales” and “Music for Stage and Screen”. They are assessed through a combination of composition coursework (30%), performance (30%) and listening exam (40%). 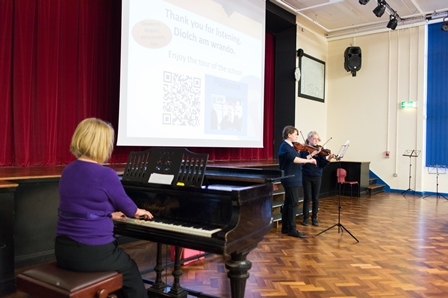 The department offers a wide range of instrumental tuition to all pupils who wish to participate. Currently over 10% of the school population take advantage of this opportunity.